Marvel comics announced the upcoming death of Wolverine. It'll come as a result of losing his life-lengthening healing factor being gone. This is unsurprising to me, as they've killed off plenty of other major Marvel characters only to bring them back, such as Spider-Man, Captain America, Colossus, and even Charles Xavier- only to bring them back some time later. Even if Marvel doesn't bring him back, how many Wolverine analogs/clones are out there? Sabretooth, Wild Child, X-23, Daken, and there is probably a long-forgotten Weapon X facility with an entire batch of clones in test tube tanks just waiting to be revived from stasis. If this is handled well, it could be a great story. Possibly as good as some of the old Wolverine canon like Barry Windsor-Smith's Weapon X or Frank Miller's story of Wolvie in Japan. So after a lifetime of killing it finally comes back to him. Will this be the end for good? It'll be tough for Marvel to truly let this guy go- he's been a Marvel staple character for decades. 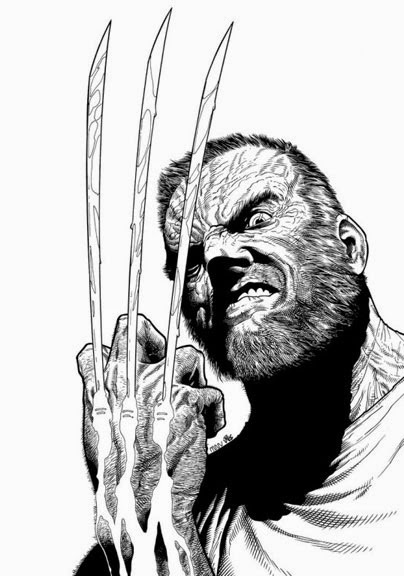 Death of Wolverine 1- "3 Months to Die" will be written by Charles Soule with art by Steve McNiven will be available on September 3.